Encounter new customers rapidly with a successful project in Armenia! Our team, over the years, grew into an expert in matchmaking. Advertisers who need to identify the most adapted digital company for their project in public relations will now manage to do so, thanks to a high-quality, effective and free of cost solution. Working together with PR agencies, this will doubtlessly make your company gain time! Because of the system that was created by Sortlist, your business is able to not exclusively meet what agencies are connoisseurs in their area but you will also be able to designate with whom it desires to advance with. The PR agency will in a jiffy determine your expectations and in addition they also will provide your firm access to technology that you may not have had previously. Selecting an agency is not only slow, but it can also be a ambitious task. Call consequently our team to fend off any mistakes and to bring about your assignment quickly. Because you can rely upon the competencies of our PR agencies and their associates in the accounting and the household products sector. 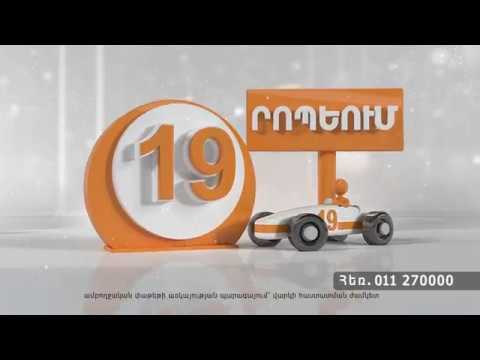 Armenia, a fruitful marketing action thanks to a PR agency. The services offered by PR agencies can be, for instance, communication with clients or newsletter designing. But even if you're looking for a firm that will have the means to aid your firm with a more difficult assignment we will manage to be of help. The reason for this is that we can contact a mass of companies that do business with with organisations that work in the accounting- or even the household products industry, which makes them hugely flexible to all kinds of tasks. We guess it is safe to say that starting a campaign in communication with clients or in newsletter designing alone can easily grow into a tedious and expensive faux pas if your company does not implement it well. Don’t overthink it and bring in a firm in Armenia to guarantee your success! Please do not wait to email Sortlist and start picking a PR agency and its associates in the household products and accounting industry. Once your firm has met the ideal bureau that meets your needs, your operation will promptly be prone to be started.